The Luverne SlimGrip running boards are an aggressive and durable option for any vehicle. The expanded metal tread offers superior traction in any situation and the 5" width will keep your feet planted. Rain, snow, mud, or any inclement conditions are no match for this step. 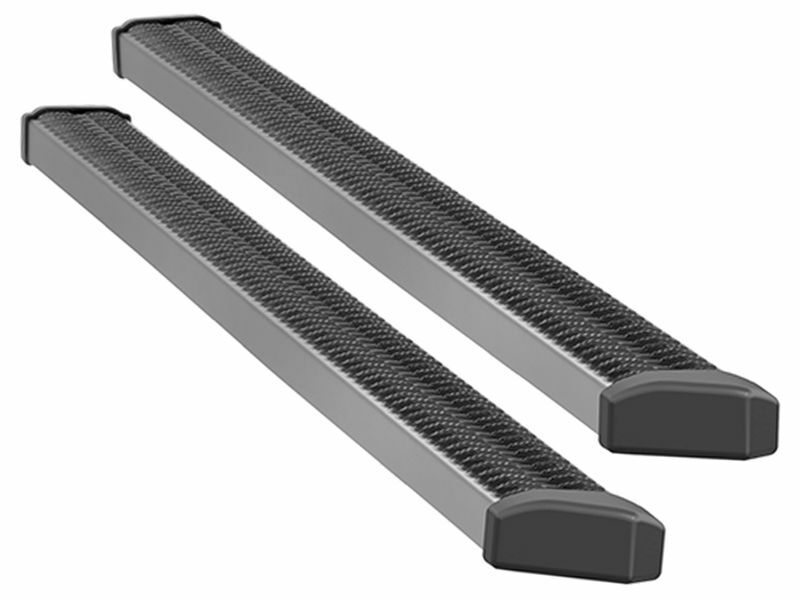 If you work hard you need running boards that can keep up, and the only choice is the SlimGrip. The steel construction and black powder coating provides corrosion resistance and high strength. While angular caps provide a sleek look and lock your feet on the board for a safe entry or exit. The SlimGrip includes the Versatrack mounting system, directions, and all of the hardware for a quick easy install. The installation is vehicle specific and does not require drilling. With a 5-year warranty and roots right here in the USA, what's stopping you?